HRH is an abbreviation for His or Her Royal Highness. The three names of Cambridge refers to the three first names given to each royal child. 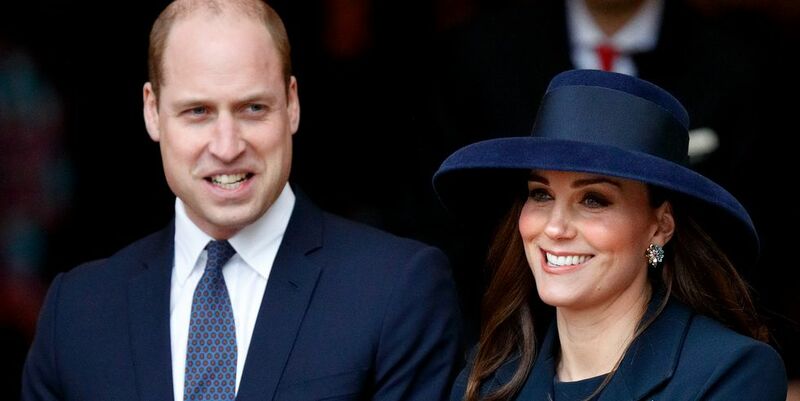 For instance, Prince George’s three first names are George Alexander Louis, and Princess Charlotte’s three first names are Charlotte Elizabeth Diana. “The House name is Windsor and the family name for those who do use a surname is Mountbatten-Windsor,” Koenig adds. Mountbatten is Prince Phillip’s surname, and Queen Elizabeth II’s grandfather, King George V, took on Windsor—after Windsor Castle—as the British royal family’s official surname in 1917. 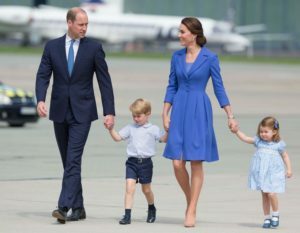 According to the royal family’s website, George V initially belonged to the Saxe-Coburg-Gotha dynasty, but thought it sounded too German in light of Great Britain and Germany’s tensions during World War I.
Koenig also tells TownandCountrymag.com that Prince George, the royal baby’s oldest sibling, is listed at school with the surname Cambridge, which is part of his father and mother’s official titles as the Duke and Duchess of Cambridge. Prince William and Prince Harry similarly adopted part of their father’s title as their last name when they enlisted in the military under William Wales and Harry Wales, The Independent reports. Prince Charles is, of course, the Prince of Wales.